Home→News→Interesting Discussions→Athena – A Goddess for Men? 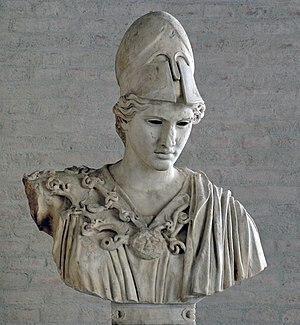 Athena – A Goddess for Men? There are several short pages that discuss the mythology of Athena punishing women- Arachne and Iodama, and of the death of Medusa and Pallas. Although the author never really states his central thesis within the text, the headline is to my mind inflammatory. Granted, it’s from About.com, (I found it through a link on another site) but I’d like to hear your thoughts on this subject.